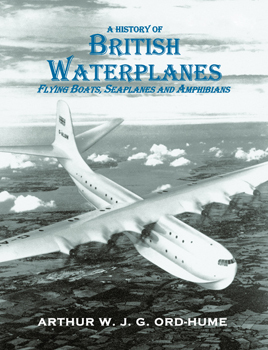 The author has coined a new word ‘Waterplanes’s; to denote the flying machines that took off and landed on water as listed in the sub-title. Although they played an important role in defence, communication, freight transport and early civil aviation hardly any trace of them remains today. Aircraft were not preserved and these fine craft have no museum of their own. The author wants this book to deal with the subject comprehensively. Hence it has a preface lasting five pages and an introduction of four pages followed by eight chapters starting with the early machines of 1909/1910 and ending with the post-war period and the subsequent decline. ‘Whitehall decision-makers...bereft of an excess of intellect who had difficulty understanding how things flew’ get a bit of a pasting from the author whose text is in his usual style. A massive appendix details the people and the makers involved and the book is fully indexed as well as being profusely illustrated with ‘amazing photographs’ (Arthur’s words not mine).